The days of having to run electricity out to your garden to enjoy spot lighting are gone! 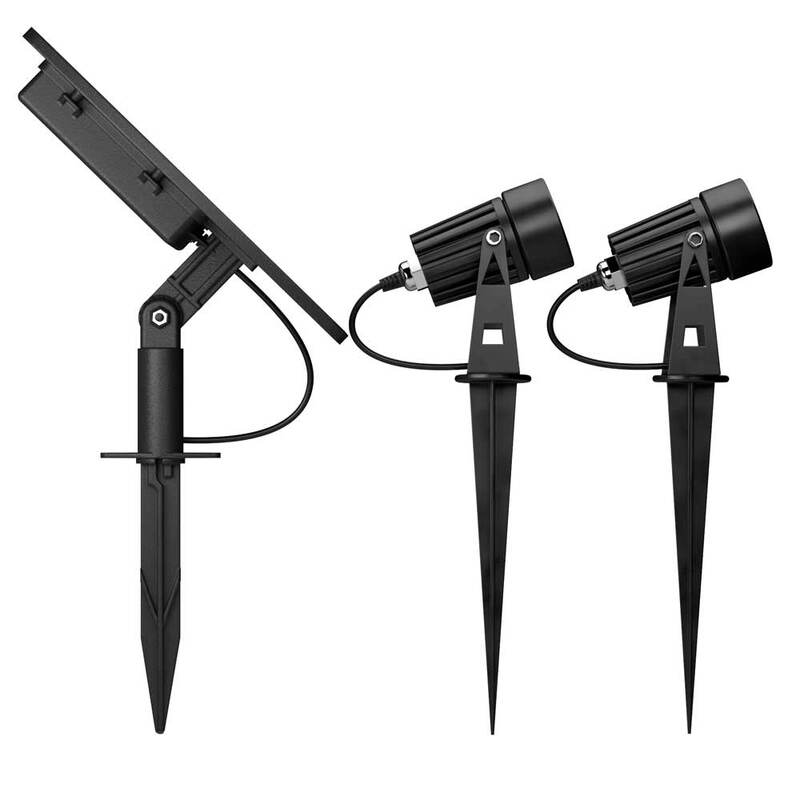 Our powerful warm white Atlas Solar Spotlights can be installed anywhere in your garden quickly and easily. Simply place your lights, position your solar panel, turn them on and wait until dark! 4.5m of cable between each light and the solar panel. 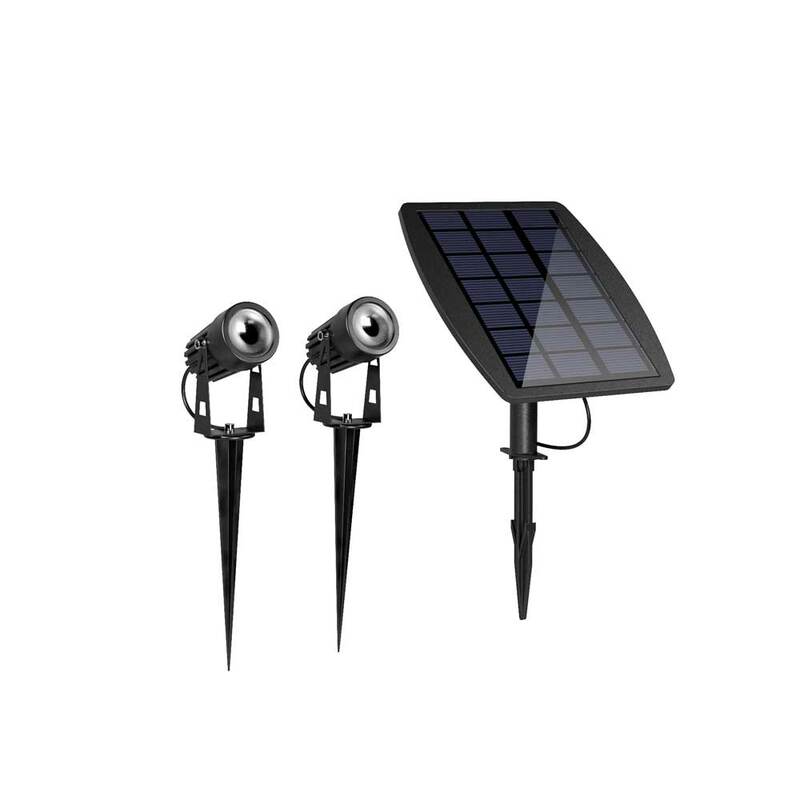 Atlas Solar Spotlights are solar powered so you can put them anywhere! So glad I found these online. Much brighter than the usual run-of-the-mill stuff you find in DIY stores and just as competitively priced. Set among the plants in my garden it creates a stunning evening display. Easy to find a spot for the solar panel with its 4.5m cable to each light. Itâ€™s about the size of a tablet so not intrusive.. very happy. I wanted them for use in night photography for providing a warm glow and they are perfect for my requirements. Good beam depth. Nice little lights which you can tuck away out of sight that pack a big punch after dark. Lovely warm white colour is exactly what I was looking for. Not much sun around since Christmas, but our new spotlights are doing their stuff soon after darkness descends. Haven't had a chance to site the solar panel to the best advantage yet, but already getting up to two hours brilliant light. Well recommended. 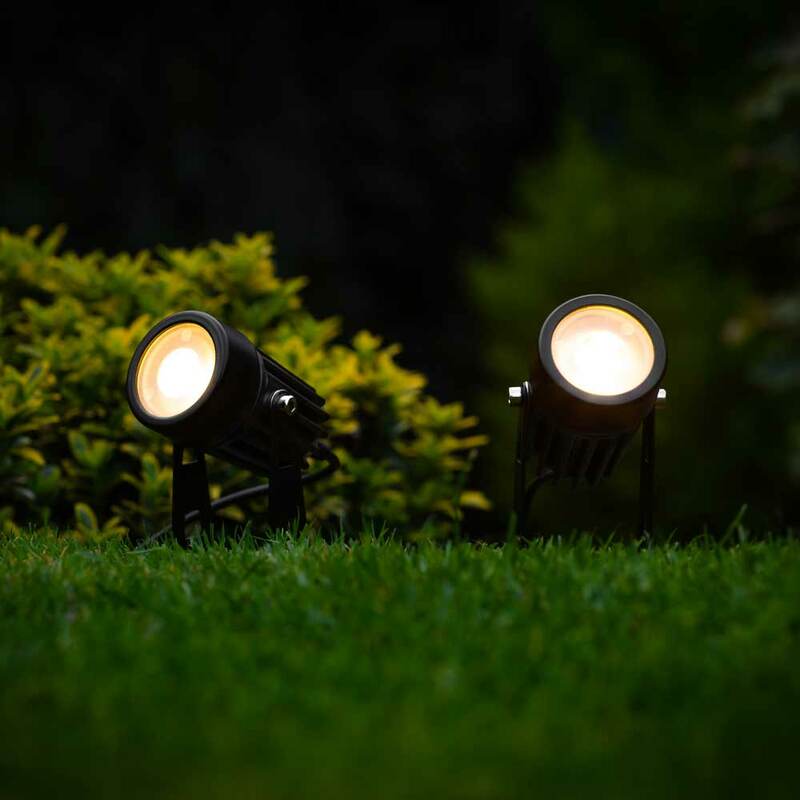 Would you recommend these to use as uplighters to show off big trees in the garden? Yes, these would work well the light up trees in the garden. Each cable from the light to the panel is 4.5m so you could have the lights 9m apart. Where is the power saving switch? Slide switch into on position: The lights will come on after dark in full brightness mode. Slide switch into off position The lights will turn off. They will still charge, but they will not turn on unless you switch them back on. Slide switch back into on position: The lights will come on after dark in Powersaving mode where reduced by 50%, but the lights will work for twice as long each night.